The core blend for this appealing Sonoma County Red Wine pairs the elegance of Merlot with the complexity of Cabernet Sauvignon. 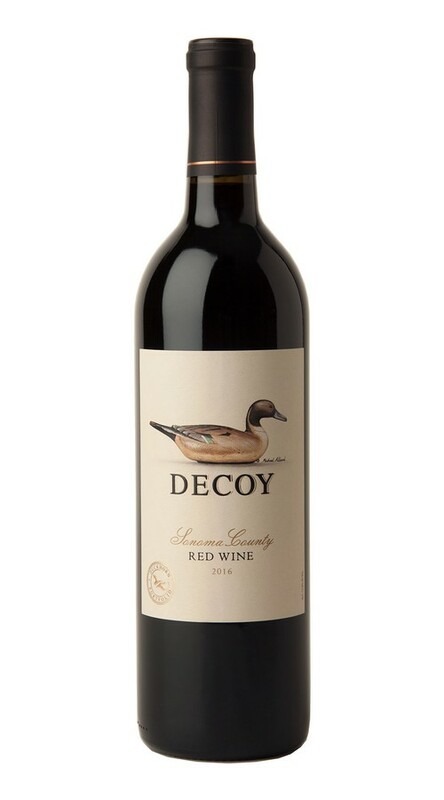 Reflecting the character of each growing season and the diversity of our vineyard sources, Decoy has established itself as a wine of distinction. Rich and concentrated, this wine reveals voluptuous layers of blueberry, cassis and dark chocolate. On the palate, hints of salted caramel and exotic spices add depth and complexity to the fresh fruit flavors, while carrying the wine to a long and silky finish.